You are currently browsing the archives for the “scriptwriting” tag. Don’t go to sleep! Nightmares are coming. 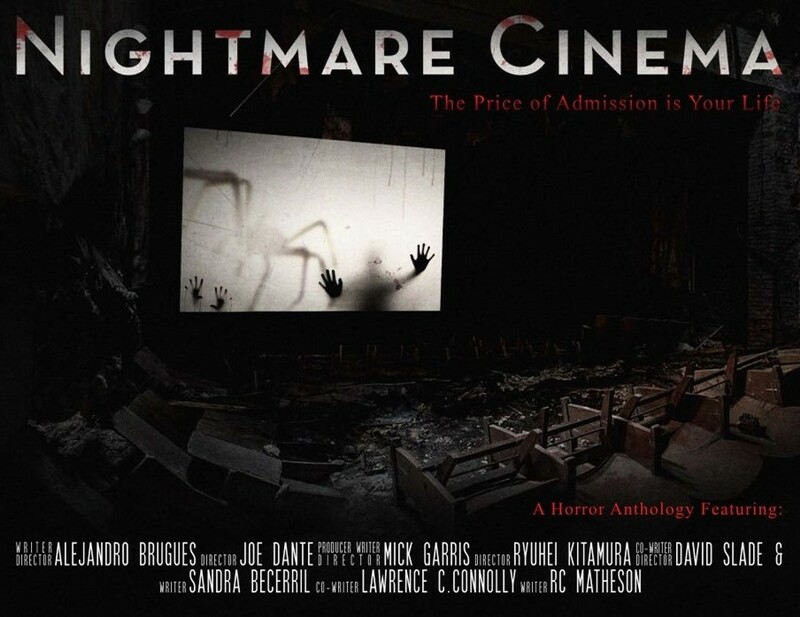 F ive acclaimed directors of the most macabre horror films from around the world, tell new blood-curdling stories, all carefully curated into the multi-platform feature film, Nightmare Cinema. It’s a selection of one-of-a-kind tales of terror that turns the genre conventions on their heads, but without every giving up the primary desire to scare the hell out of the audience. The directors are Alejandro Brugués (Juan of the Dead), Joe Dante (Gremlins, Matinee), Mick Garris (Stephen King’s The Stand, Sleepwalkers), Ryuhei Kitamura (The Midnight Meat Train) and David Slade (Hard Candy, 30 Days of Night, and the acclaimed NBC television series Hannibal). Ryuhei Kitamura will direct “Mashit,” written by Sandra Becerril. Making her home in Mexico City, she is the author of numerous novels, short stories, and film scripts. Her work is well known to horror fans in Mexico, Argentina, and Spain, and her forthcoming film Desde tu Infierno (checkout the trailer here) and Nightmare Cinema are sure to win her plenty of new fans from around the world. 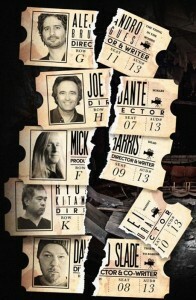 No stranger to American audiences is Richard Christian Matheson, whose script “Mirari” is being directed by Joe Dante. Following in the footsteps of his father, the great Richard Matheson, R. C. Matheson is the author of the short story collections Scars and Other Distinguishing Marks and Dystopia; the novel Created By; and the magic-realism novella “The Ritual of Illusion.” He has also written extensively for television, including two scripts for Mick Garris’s Masters of Horror. Sitting at the edge of a deserted town, under the guise of a decrepit theatre, is the gateway between heaven and hell. It can only be found by tortured souls, lost in a place of unknown time and origin. In this twisted anthology, at least one character from each of the five shorts arrives at the cinematic purgatory, unaware of their fate. Upon entering the theatre, they are forced to watch their deepest and darkest fears play out before them. 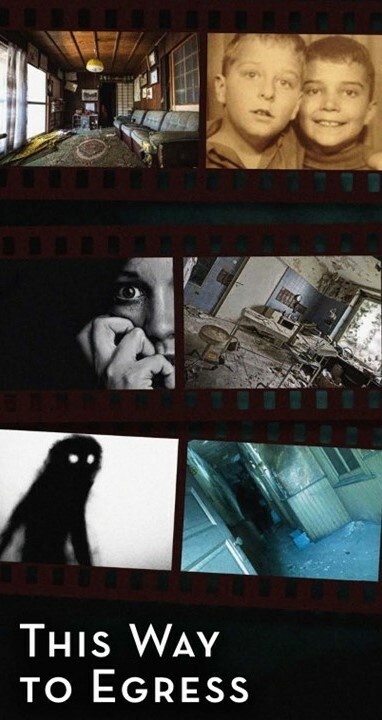 Lurking in the shadows is the Projectionist, who preys upon their souls with his collection of disturbing film reels. As each reel spins its sinister tale, the characters find frightening parallels to their own lives. But by the time they realize the truth, escape is no longer an option. For once the ticket is torn, their fate is sealed at NIGHTMARE CINEMA. Want to hear more? If so, I’ll be glad to share a few more highlights at this month’s installment of the Penguin Bookshop Writers Series (PBWS), which gets under way at 6:30 pm on April 27. If you live in the Pittsburgh area, I hope you’ll consider dropping by for a conversation about books and writing in one of the region’s great independent bookstores. The Penguin has been a fixture in Sewickley, Pennsylvania, since 1929. 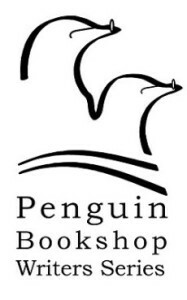 With six different owners and three different locations over the last 85-plus years, the Penguin has remained a vital community institution thanks to the continued loyalty of its customers and the passion of its booksellers. It remains one of the local and regional community’s greatest treasures. PBWS presents authors and publishing professionals each month who discuss aspects of both the art and the business of writing. The format ranges from hands-on workshops to lectures and panel discussions. The goal of PBWS is to unite published writers with aspiring writers, aspiring writers with publishing professionals, and curious readers interested in the author’s craft with professional writers. In short, you won’t want to miss this one. Bring your friends . . . and let the nightmares begin. Nightmare Cinema promotional copy & images, copyright © 2016 Good Deed Entertainment. 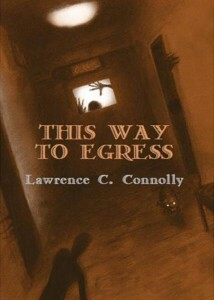 Cover of This Way to Egress, copyright © 2010 Jason Zerrillo. Writers Series logo & the history of Penguin Bookshop and PBWS are from penguinbookshop.com. Powered by WordPress and delivered in 0.397 seconds using 39 queries.